Al Muntada Trust has teamed up with the Trussell Trust to help people in west London who need to access a foodbank. Al Muntada Trust is a registered collection point for people to donate food and hygiene supplies. Trussell Trust foodbanks give a minimum of three days’ emergency food and support to people in crisis. Foodbanks operate to provide short term, emergency support – the Trussell Trust also offers support to identify and resolve the cause of the crisis. During 2015/2016 – over 1 million three-day emergency food supplies were give out by the Trussell Trust- 110,364 were distributed in London. Compared to 2010/2011 when 61,000 food supplies were given out, the UK has million of people who are living in food poverty and urgently need our help. People resort to accessing a food bank for many reasons but 27.9% of people said delays in their welfare benefits payments left them with no money to purchase food with 23.31% said that they had a low income that made buying food an impossibility. 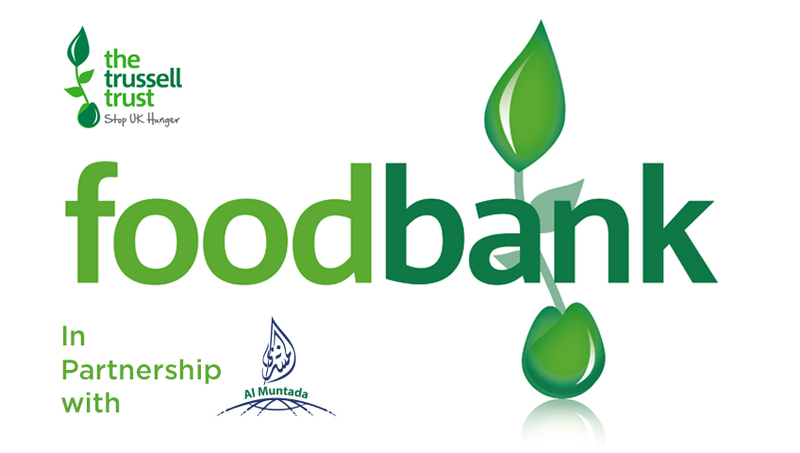 To donate food and hygiene supplies via Al Muntada Trust, please visit our centre at 7 Bridges Place, SW6 4HW.